The month of February is known throughout the United States as a time to recognize the rich history and the many achievements of African Americans. However, the monumental impact of the African American community is something that is experienced every day, not just one month a year, through the contributions to medicine, science, literature, music, arts and all of the numerous other advancements that have changed the lives of all Americans. 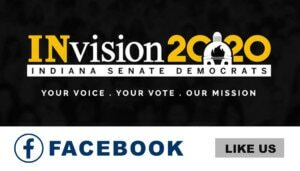 This Black History Month, we will be publishing videos on the Indiana Senate Democratic Caucus Facebook page featuring legislators from the Indiana Black Legislative Caucus, as well as Black staff and interns. The topics discussed range from inspirational figures, the importance of recognizing and celebrating Black history, and the greatest accomplishments our members have made. These videos will include Indiana Senate Democrats Lonnie Randolph (D-East Chicago), Eddie Melton (D-Gary), Jean Breaux (D-Indianapolis) and Greg Taylor (D-Indianapolis). We will also be highlighting influential African-American Hoosiers on the Indiana Senate Democratic Caucus Facebook page. These notable Hoosiers vary from athletes to politicians, and have all contributed greatly to Indiana’s rich history. We hope that you will join us in remembering the significant contributions that the African-American community has made to the United States, as well as, the impact they have created made right here in Indiana.